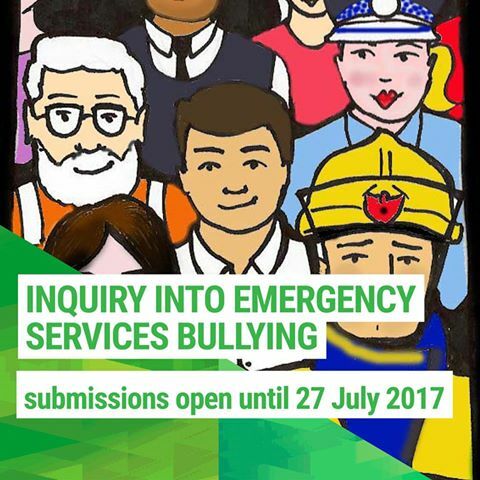 We’ve spoken to many emergency service workers who want to put a submission into the current bullying inquiry, but have concerns about how making a submission might impact on their employment, and specifically that they have worries that making a submission may lead to them being bullied. The committee understands these concerns, and has a number of measures in place including the ability to make confidential or anonymous submissions and the ability to hold private hearings. Submissions are due by the 23 July 2017. Yep have placed my submission and someone phoned me from Parliament to suggest some changes that would protect me.